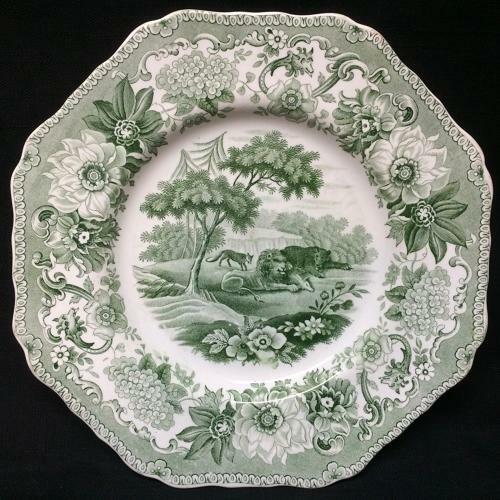 This outstanding plate measures 8 5/8 inches wide. It is crisply transfer printed in a rich green. The plate has a wonderful eight sided scalloped edge and a border pattern of trios of large flowers seperated by hydrangea blossoms, Fox heads and wild roses. only to serve the turn of a Fox." Never Used. The plate displays beautifully and is in Excellent condition.